OMG. YOU GUYS. 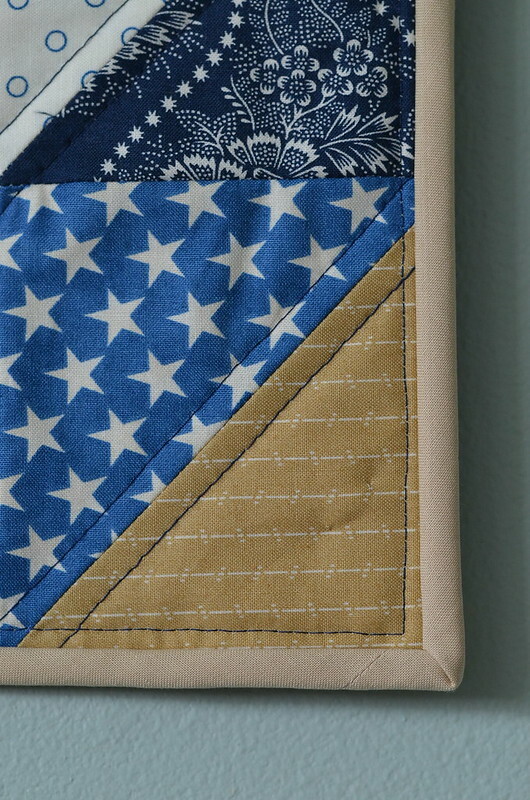 I QUILTED SOMETHING. 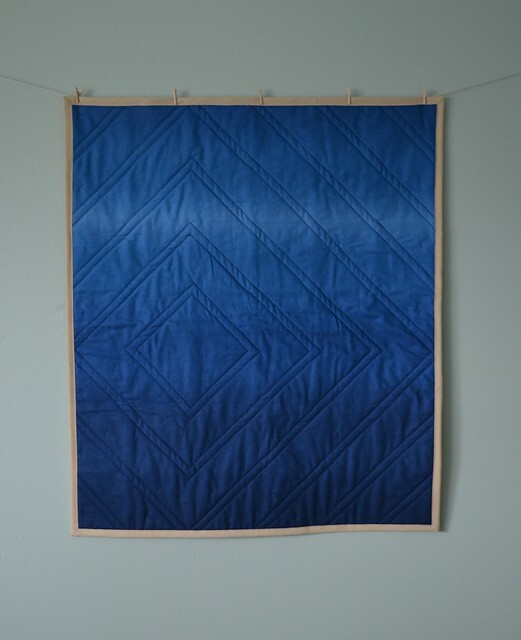 I made this quilt top in a piecing class on half-square triangles, then quilted it in my first class on quilting. 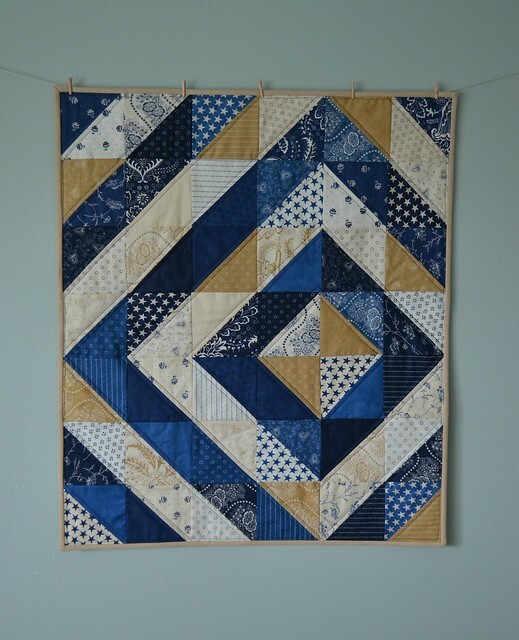 Fabric is an Indigo Crossing charm pack by Moda fabrics. It’s kind of a random size because I was just practicing—too big to be a placemat, but too small to be a baby blanket. Finished dimensions: 24.5″ x 29″. My husband calls it a placemat for two. 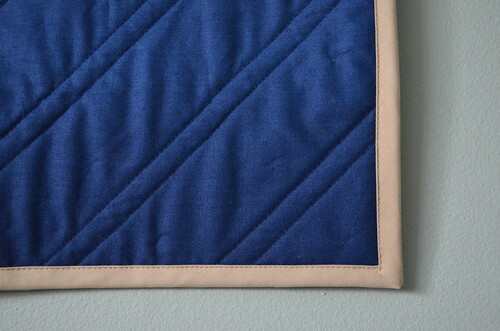 I quilted on either side of the seams with dark blue thread. I machine-sewed the binding (again, first time) and I’m really happy with how even it turned out. It’s really hard to find where I started/stopped. For those with quilt experience: Did I sew too close to the edge of the binding? I gave it to my mom for Christmas, because moms like things that you’ve made, even if they’re not particularly useful.